This week we're celebrating all things Kumato®! This unique cocktail tomato is a chef's secret weapon and every fresh foodie's dream. Why? This Spanish-bred family of tomatoes comes from the beautiful shores of the Mediterranean. Kumato® tomatoes have a distinct flavor that will make even sworn tomato-haters change their minds. It's succulent, and slightly sweet. It's incredibly juicy, yet firm. It's mild, never acidic, and all that flavor is wrapped up in a perfectly crunchy skin. This tantalizing flavor is almost as unique as its brown hue. 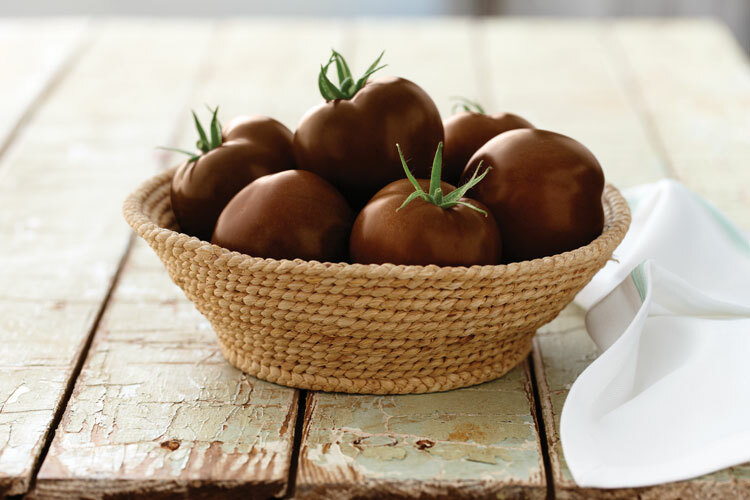 Kumato® tomatoes begin green, turn brown at peak ripeness, and then slightly reddish as they continue to ripen. And don't worry, that color is completely natural; these gems are non-GMO verified. Just a hint of sea salt and drizzle of olive oil truly brings out their unique flavor, but this versatile tomato is perfect for nearly any dish. Let us know how you enjoy this round brown package of pure delight!